1 pair of geta with light brown velvet straps ; each 9 x 4.125 x 2.5 in. 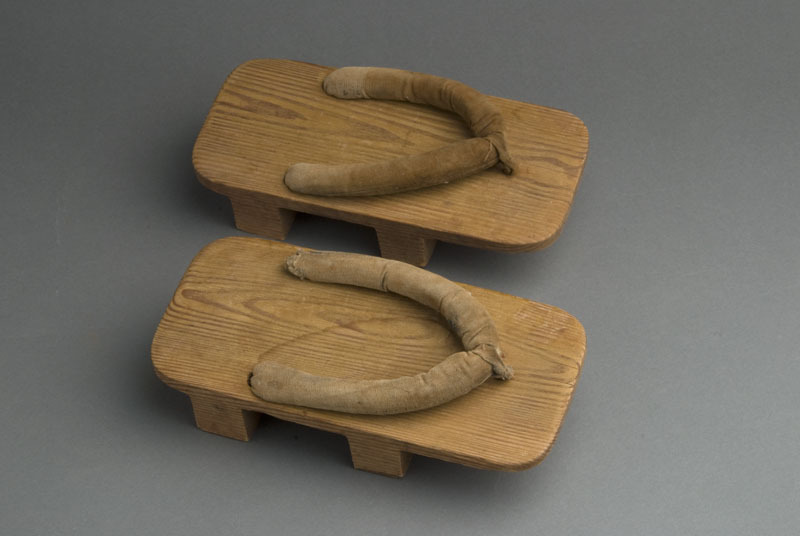 Japanese style wooden slippers handcarved from guava tree wood is composed of a baseboard (dai) resting on two supporting pieces (ha or teeth) below and a velvet strap that is secured at the front middle of the baseboard and at sides of the foot. The geta are identical in shape: right (A) and left (B) side. Straps faded on top.